Ever since launching locally in 2004, the WXPN Musicians on Call program has brought music, often performed live, to the rooms of nearly 100,000 hospital patients throughout the Philadelphia area. 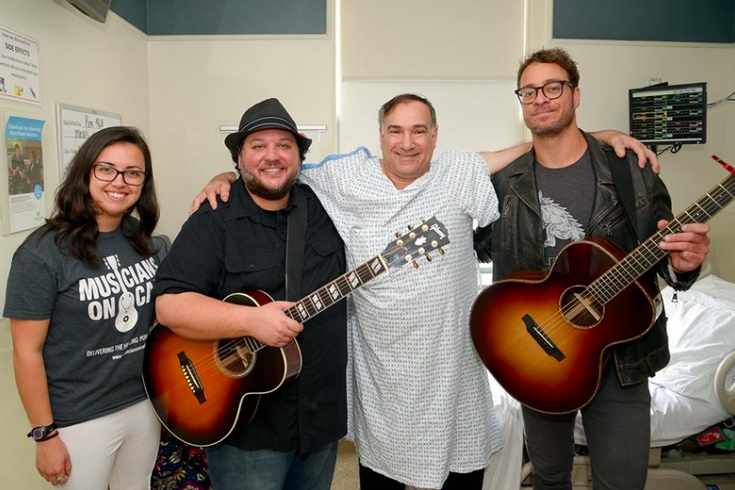 Earlier this month, the program launched at its ninth hospital in the area, Bryn Mawr Hospital, with a visit from a couple of standout local artists: Mutlu and Amos Lee. Mutlu is a soul and R&B-influenced singer-songwriter and Philadelphia native who has performed extensively both with Lee and Hall & Oates. He spoke with PhillyVoice this week about how he got involved with Musicians on Call and what it meant for him to perform at that hospital. Mutlu has been associated with Musicians on Call in Philly since it began 13 years ago, and remembers being brought into the program by longtime WXPN host Helen Leicht, who has been Musicians on Call’s top spokesperson in Philadelphia since it arrived in town. XPN has long sought to bring artists with which it’s associated into the program. “That was just really cool, man,” Mutlu said of the Bryn Mawr event. “It just reconnected me to what a special thing that program was for me. The way it just resonated with those people. Also, getting to perform for the staff and perform with Amos. Musicians on Call was founded in New York in 1999, and its expansion to Philadelphia five years later, with XPN taking the lead, was the program’s first big move into another city. It’s now in 23 U.S. cities. Before Bryn Mawr Hospital, the Musicians on Call program was active at CHOP, The Hospital of the University of Pennsylvania, Thomas Jefferson University Hospital, Our Lady of Lourdes Medical Center, Philadelphia VA Medical Center, St. Christopher’s Hospital for Children and Christiana Care Health System's Wilmington Hospital. The musical performances are held periodically at each hospital. Meanwhile, Musicians on Call will hold a free, all-ages concert in its Volunteer Spotlight Series July 24 at the Hard Rock Cafe in Philadelphia. WXPN’s Leicht will host the event, featuring 15 performances. And XPN’s annual 5K run, benefiting Musicians on Call, is set for October 1 at Penn Park in University City.